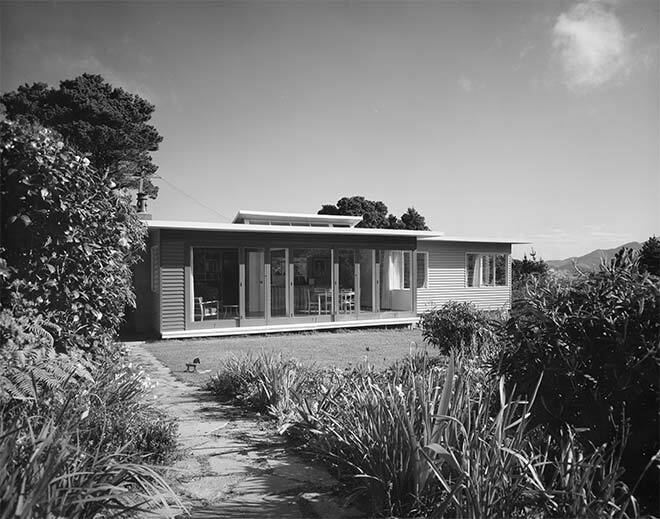 The Lang House in Karori, Wellington, was designed in 1947 in the modernist style by Austrian émigré architect Ernst Plischke for senior government official Henry Lang. Plischke saw modernism as an international style that did not need to change in a New Zealand context. As with Plischke's other houses, the Lang dwelling comprised simple box-like forms and a flat roof. A novel feature was large glass sliding doors that could be pushed open to enable indoor-outdoor flow – turning the garden into another 'room'. This element later became a common feature of New Zealand housing.